When you look ahead to your future, what kind of changes do you see? You might envision major changes, like moving to a new city for a new job, starting a family, or helping your kids move out and live on their own. You might anticipate smaller changes too, like starting a hobby or exercise program, upgrading your home appliances or technology, spending more time with friends or family, or volunteering more. Maybe you want to reduce your debt, or save up for a purchase instead of charging it. Goals, whether long term or short term, usually cost money to accomplish. That means when you have a life goal, you probably have a financial goal, too. Set a financial goal. 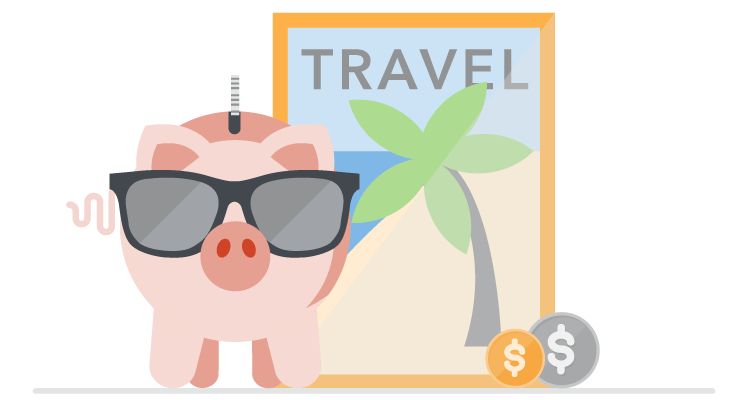 Let’s say you want to go on a vacation next year, and you set a goal of saving $1,000. Break it down into specific steps. You could decide to save $1,000, for example, by bringing lunch from home instead of buying it for $5 a day. Or you could set aside $20 from your pay every week for 50 weeks. Or you could find additional income from an extra shift or side job. Set up the system you need to make it work. Sometimes we forget the small things that can get in our way—like making sure you have the right kitchen supplies and groceries to make lunch every day, or opening a savings account to keep your vacation fund separate. Set up what you need in your life, so that you don’t have excuses to miss your goals. Get help sticking to your plan. You can set up automatic transfers at your bank, moving funds automatically from checking to savings. You can set a weekly alarm on your phone. You can ask a friend to remind you—or join you and save along with you. Taking place from February 23-28 this year, America Saves Week gives you an annual chance to get started on saving. If your own goals include saving for the future, take the America Saves pledge today, and you’ll stay motivated all year with tips and reminders. Now is the time to think about how to achieve the changes you envision for yourself. Know what motivates you, then take action. By meeting your financial goals, you’ll make a start on following your life goals. When thinking about setting financial goals, consider what financial well-being means to you. Learn more about what consumers across the country told us about their financial lives and views of financial well-being.